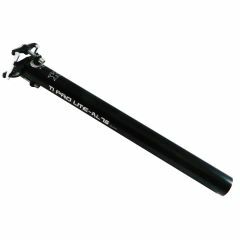 More affordable version of the classic Ti Pro scandium post - but just as good! Made from 7075 Al alloy, and with stainlees steel bolts rather than Ti - it is still comfortable and light! For carbon rail saddles use the Ti Pro Seatpost Carbon Rail Clamps.